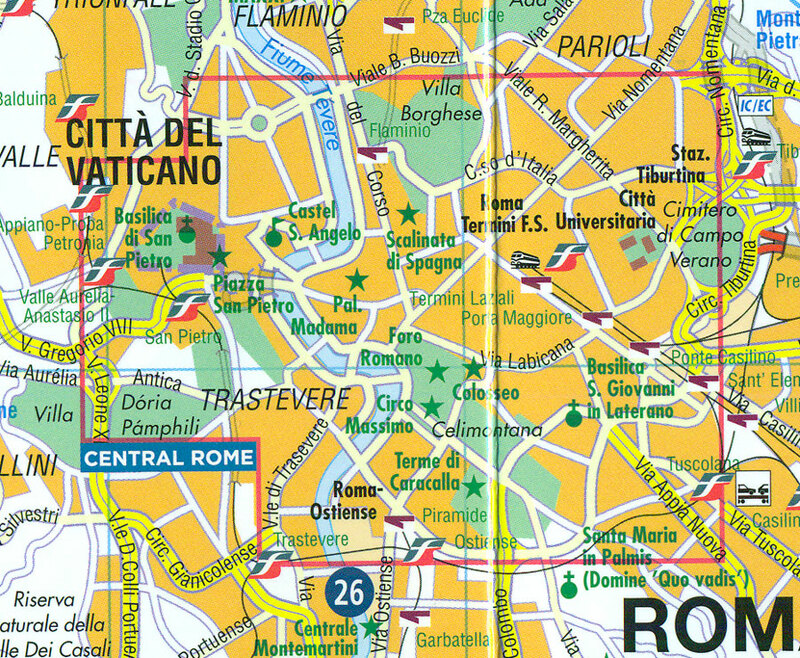 On one side is a street plan extending from the Vatican and the Trastevere district to beyond the Termini railway station, and from the Villa Borghese Park south to Terme di Caracalla and Testaccio. Accompanying inset presents in greater detail the central area from the Pantheon to the Tiber. Important buildings and places of interest are clearly marked and named, with 29 specially selected locations cross-referenced to their descriptions on the reverse. Metro stations are clearly marked. Street index, on the reverse, includes a list of points of interest. The reverse side also includes three sections with 29 star-rated recommendations: The Essentials, Also Worth Seeing, and Our Favourites. 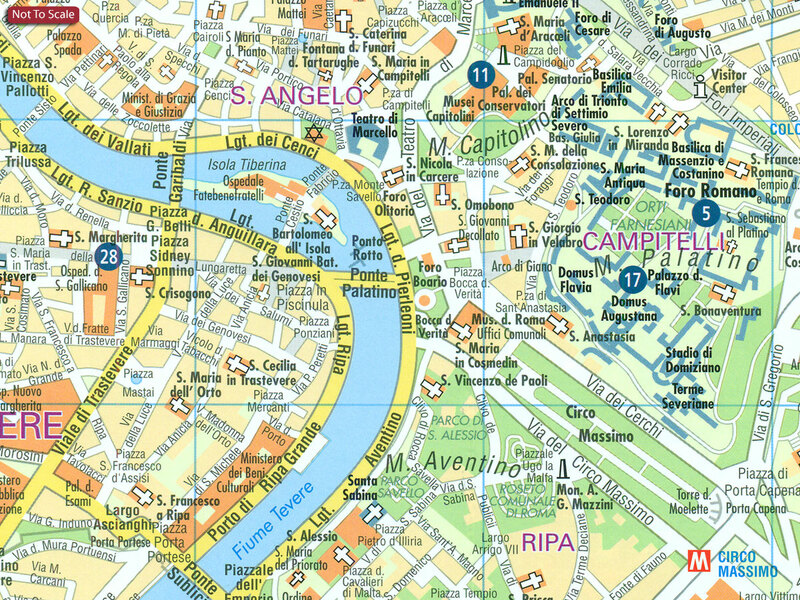 Also provided is a road map of the Rome’s area (including access to Leonardo da Vinci and Ciampino airports), a diagram of the metro network, plus practical information (getting around, opening hours and public holidays, etc). All the text is in English.